Storage Rack System Archives - Warehouse Solutions, Inc.
Storehouse Containers – Need storage solutions in the Terre Haute area? Warehouse Solutions has what you need! Maintaining an accurate inventory is vital to the success of the business. It’s important to evaluate your inventory on a regular basis to ensure that you’re on track to succeed. This is why inventory storage solutions by Warehouse Solutions is the first place you need to call. Our staff is equipt with the latest in inventory storage as well as how to identify and solve your inventory needs. Pallet Racks: Selective pallet rack, used pallet racks, discount pallet racking, drive-in rack, pushback rack, cantilever rack, pallet flow rack, carton flow tracks, rack accessories, and other new and used rack equipment. Industrial shelving: Rapid Rack, boltless shelving (rivet), archive storage and more. Warehouse Services for the Terre Haute area: Pallet rack installation, warehouse teardown, relocation, and a few free warehouse services as well. Storehouse Containers – Need storage solutions in the Anderson area? Warehouse Solutions has what you need! Maintaining an accurate inventory is vital to the success of the business. It’s important to evaluate your inventory on a regular basis to ensure that you’re on track to succeed. This is why inventory storage solutions by Warehouse Solutions is the first place you need to call. Our staff is equipt with the latest in inventory storage as well as how to identify and solve your inventory needs. Warehouse Services for the Anderson area: Pallet rack installation, warehouse teardown, relocation, and a few free warehouse services as well. Storehouse Containers – Need storage solutions in the Muncie area? Warehouse Solutions has what you need! Maintaining an accurate inventory is vital to the success of the business. It’s important to evaluate your inventory on a regular basis to ensure that you’re on track to succeed. This is why inventory storage solutions by Warehouse Solutions is the first place you need to call. Our staff is equipt with the latest in inventory storage as well as how to identify and solve your inventory needs. Warehouse Services for the Muncie area: Pallet rack installation, warehouse teardown, relocation, and a few free warehouse services as well. Storehouse Containers – Need storage solutions in the Bloomington area? Warehouse Solutions has what you need! Maintaining an accurate inventory is vital to the success of the business. It’s important to evaluate your inventory on a regular basis to ensure that you’re on track to succeed. This is why inventory storage solutions by Warehouse Solutions is the first place you need to call. Our staff is equipt with the latest in inventory storage as well as how to identify and solve your inventory needs. Warehouse Services for the Bloomington area: Pallet rack installation, warehouse teardown, relocation, and a few free warehouse services as well. Storehouse Containers – Need storage solutions in the Hammond area? Warehouse Solutions has what you need! Maintaining an accurate inventory is vital to the success of the business. It’s important to evaluate your inventory on a regular basis to ensure that you’re on track to succeed. This is why inventory storage solutions by Warehouse Solutions is the first place you need to call. Our staff is equipt with the latest in inventory storage as well as how to identify and solve your inventory needs. Warehouse Services for the Hammond area: Pallet rack installation, warehouse teardown, relocation, and a few free warehouse services as well. Storehouse Containers – Need storage solutions in the Gary area? Warehouse Solutions has what you need! Maintaining an accurate inventory is vital to the success of the business. It’s important to evaluate your inventory on a regular basis to ensure that you’re on track to succeed. This is why inventory storage solutions by Warehouse Solutions is the first place you need to call. Our staff is equipt with the latest in inventory storage as well as how to identify and solve your inventory needs. 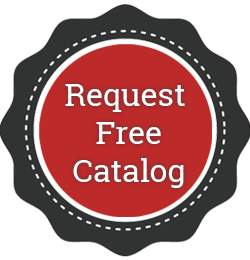 Warehouse Services for the Gary area: Pallet rack installation, warehouse teardown, relocation, and a few free warehouse services as well. Storehouse Containers – Need storage solutions in the South Bend area? Warehouse Solutions has what you need! Maintaining an accurate inventory is vital to the success of the business. It’s important to evaluate your inventory on a regular basis to ensure that you’re on track to succeed. This is why inventory storage solutions by Warehouse Solutions is the first place you need to call. Our staff is equipt with the latest in inventory storage as well as how to identify and solve your inventory needs. Warehouse Services for the South Bend area: Pallet rack installation, warehouse teardown, relocation, and a few free warehouse services as well. Storehouse Containers – Need storage solutions in the Evansville area? Warehouse Solutions has what you need! Maintaining an accurate inventory is vital to the success of the business. It’s important to evaluate your inventory on a regular basis to ensure that you’re on track to succeed. This is why inventory storage solutions by Warehouse Solutions is the first place you need to call. Our staff is equipt with the latest in inventory storage as well as how to identify and solve your inventory needs. Warehouse Services for the Evansville area: Pallet rack installation, warehouse teardown, relocation, and a few free warehouse services as well. Storehouse Containers – Need storage solutions in the Fort Wayne area? Warehouse Solutions has what you need! Maintaining an accurate inventory is vital to the success of the business. It’s important to evaluate your inventory on a regular basis to ensure that you’re on track to succeed. This is why inventory storage solutions by Warehouse Solutions is the first place you need to call. Our staff is equipt with the latest in inventory storage as well as how to identify and solve your inventory needs. Warehouse Services for the Fort Wayne area: Pallet rack installation, warehouse teardown, relocation, and a few free warehouse services as well. Storehouse Containers – Need storage solutions in the Indianapolis area? Warehouse Solutions has what you need! Maintaining an accurate inventory is vital to the success of the business. It’s important to evaluate your inventory on a regular basis to ensure that you’re on track to succeed. This is why inventory storage solutions by Warehouse Solutions is the first place you need to call. Our staff is equipt with the latest in inventory storage as well as how to identify and solve your inventory needs. Warehouse Services for the Indianapolis area: Pallet rack installation, warehouse teardown, relocation, and a few free warehouse services as well.